ZSL's Fish Net programme was initiated to tackle the extinction crisis affecting the planet’s freshwater fish. They comprise one of the most threatened vertebrate taxonomic groups and yet very little attention is given towards their plight or their conservation. Fish Net aims to change this trend and improve the survival rate of these neglected species around the world. Through a network of zoos, aquariums, universities, research institutions and hobbyists, we aim to develop meaningful conservation solutions for species that have been ignored and are facing extinction. We are using a dynamic programme of captive breeding, education and outreach, research and field conservation initiatives in a number of target countries. The plight of freshwater fish is extremely serious, though receives little publicity. Of the 5096 freshwater species assessed by the IUCN, 2506 are threatened, and 688 endangered, critically endangered or extinct in the wild. This global problem is primarily due to water pollution, damming and drainage of waterways, and invasive species. Our key focus areas are in Greece, Turkey and Mexico. In each location, we follow a programme of habitat surveys, monitoring, captive breeding, population rescues and raising awareness for the most threatened and neglected freshwater fish species. Greece is the flagship Fish Net programme, that started with a survey of the Corfu killifish in Western Greece in 2005. In Turkey, we are currently focusing on the Anatolian lakes region, but hope to include species further east in the near future. 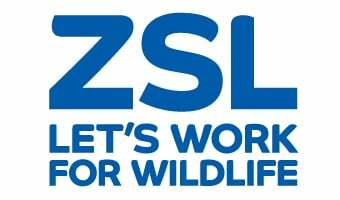 As the organisation coordinating Fish Net, ZSL runs breeding programmes for freshwater fish species on the brink of extinction. The Aquarium at ZSL London Zoo breeds 26 species, including the Corfu killifish, 8 species of Mexican pupfish and 10 livebearers, 5 of which are extinct in the wild. You can see this critical breeding work in action at the Zoo. Fish Net Madagascar aims to respond to the immediate crisis affecting Madagascar's freshwater fish fauna. As with other Fish Net initiatives, this project uses a variety of activities to achieve its aim - including captive breeding and management, field assessments and monitoring, by liaising with local partners and in-country authorities and universities. Madagascar is well known for its unique mammal taxa but its ancient fish lineages are also unique and even more threatened by a barrage of pressures including introduced species, habitat destruction and pollution. Deforestation and sedimentation have rapidly altered the watersheds all over Madagascar and desertification and poor water use planning have already destroyed many habitats and caused the extinction of several species. Fish Net Madagascar will rescue those species in immediate danger of extinction and secure populations for reintroduction and translocation where possible. It also will conduct surveys and map habitats and species ranges in order to inform future action plans for in-situ conservation. The project will also work with local partners to explore novel ways of preserving native freshwater fauna such as community fish ponds and the ornamental fish trade. Greece is the flagship Fish Net programme that started with a survey of the two Critically Endangered Corfu killifish species in Western Greece in 2005. These species are identified by Greece as priority indicator species for the Water Framework Directive in Europe. They have also been identified as priority species within the Regional Collection Plan for European Zoos and Aquaria in 2004. Fish Net Greece is a partnership between ZSL and the Hellenic Centre for Marine Conservation, Institute of Inland Waters. Additional objectives of this programme include: an examination of genetic make-up of all known populations in order to inform future management decisions such as translocation or reintroduction efforts; establishment of secure ex-situ populations to allow for restocking should wild populations disappear (part of Fish Net - London); examination of disease agents that could compromise the species' survival; study into the interaction of this species with the invasive mosquitofish, Gambusia holbrooki; restoration of habitats, monitoring populations and providing assisted migration where needed; development of an awareness campaign for communities living adjacent to the species habitat and for governments, schools and popular press. In the future additional Greek species will be considered including the CR Almiri toothcarp (Aphanius almiriensis) and CR Greek stickleback (Punguntius hellenicus) among others. Following the principles of other Fish Net projects, our efforts in Turkey include a programme of habitat surveys, monitoring, rapid assessments, captive management & breeding, population rescues, awareness raising for and study of Turkey's most threatened and neglected freshwater fishes. The project has strong partnerships in Turkey, with other EAZA zoos and Turkish NGOs, universities and government advisors. The main focus species' group is the genus Aphanius, a type of killifish of which there are thirtenn species currently recognised in Turkey. Three of these species: A. transgrediens, A. saldae and A. burduricus are extremely threatened and one, A. splendens, is already extinct, with a further two listed as DD. Building a management plan for these species includes a programme of gathering baseline data, habitat restoration, invasive species eradication and monitoring, as well as public awareness raising. Using these species, each endemic to a culturally or commercially important water body, as flagships for ecosystem health is one approach being considered. The current scope of work centres on the Anatolian lakes region in SW Turkey but other species occurring further east will likely feature in the programme in the future. A captive breeding programme in Istanbul's Faruk Yalcin Zoo is paired with captive management of some species in London and Vienna Zoo. The breeding programme for the Turkish species merges with Fish Net - London under Captive Breeding and Reintroduction. Fish Net is focusing on species of killifish and livebearers that are threatened, some of which are critically endangered or extinct in the wild. Many of these species are notable for inhabiting harsh environments and are often considered important indicators for ecosystem health. Find out about how ZSL are working to protect the Critically Endangered Corfu Killifish.